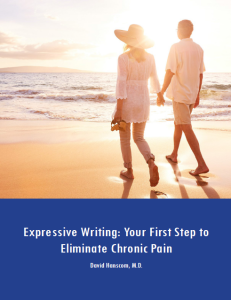 Is Chronic Pain Destroying Your Life? Tried Lots of Remedies but Nothing Seems to Work? Dr. Hanscom has helped hundreds of individuals go pain free without surgery or meds, and take back control of their lives. His methods can help you, too. Through his own personal ordeal, he discovered that chronic pain is curable by connecting to our own capacity to heal. You can live a pain-free life. Take this first and most important step to heal your chronic pain for good.